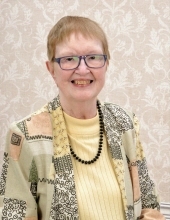 Susan Colette Leimberer, age 79, a resident of Naperville, IL since 2006 and formerly of Chicago, IL, passed away peacefully on February 7, 2019 at Sunrise of Naperville. She was born on December 23, 1939 in Chicago, IL. Susan is survived by her beloved husband of 57 years, Daniel E. Leimberer; her loving children, Timothy (Jennifer) Leimberer and Karen (Pamela) Leimberer; as well as her cherished grandchildren, Lynna’, Lily, Lorelei, Kaela and Noah. She was preceded in death by her cherished grandson, Elijah; and her brother, Geoffrey. Sue grew up in Chicago. She met her husband, Dan, when he was on a high school field trip to Chicago from Belle Plaine, IA. Sue’s mom instantly knew she met “someone” that day. Dan and Sue became pen pals while Dan was in the Navy and he stopped in Chicago every chance he was able. They were married on December 29, 1961. They have two children – Tim and Karen. Sue was a lifelong registered nurse – practicing floor nursing, teaching and then finding her passion with case management. She was Illinois’ Case Manager of the Year in 1996. She was very active in Berry Methodist Church (Chicago) in her youth, Luther Memorial Church (Chicago) in her adult life and for the past 12 years at St. Timothy’s Lutheran Church (Naperville). At Luther Memorial, she was very active in the church choir and handbell choirs. She was an unofficial parish nurse, always helping others in the congregation. For 25 years, she volunteered one week a summer at Lutheran Outdoor Ministries Center as a camp nurse. LOMC held a very special place in her heart. Sue was a beloved wife, mother, grandmother, cousin, nurse and friend to whomever she met. In lieu of flowers, memorials can be given to the Lutheran Outdoor Ministries Center, PO Box 239, Oregon, IL 61061 (www.lomc.org). A memorial service will be held on Sunday, February 10, 2:30 PM at St. Timothy Lutheran Church, 1313 N. Mill St., Naperville. The family will receive friends from 1:30 until 2:30 PM prior to the service. Cake and fellowship will follow the service. Interment will be private. Friedrich-Jones Funeral Home & Cremation Services, Naperville, was entrusted with arrangements. To send flowers or a remembrance gift to the family of Susan Colette Leimberer, please visit our Tribute Store. "Email Address" would like to share the life celebration of Susan Colette Leimberer. Click on the "link" to go to share a favorite memory or leave a condolence message for the family.